The news that DC et al were captured reached Pon Sau, and he was thrilled. Meanwhile, the faithful Chiyan visited Mrs Dik and her butler (the actor who played as Mr Szeto in FD 84 and Master Yuen Hung in CLH 84). Mrs Dik asked for news about her son, but I think Chiyan didn't know much. SS got another idea to rescue DC from her maid. They drugged the Prince and the guards with the wine, then she stole the Imperial Placard to release DC et al. But the girls should have used a higher dose because the Prince woke up quicker than planned. SS still managed to lead DC et al down hill away from the Mongol territory, but when DC asked her to go with him, she refused for some reasons I don't know. DC n SS said goodbye, SS returned to face the wrath of her brother. The Prince grudgingly forgave her, but he killed the poor servant girl. Meanwhile, DC returned to the fortress but Pon Sau refused entrance despite DC politely asking to. PS later sent one of his staff to capture DC, but that officer let him go because he was the one who almost died die to snake poison had DC not saved him. This officer later sided with DC et al instead. DC then led his friends to...not sure what, prove their innocence? Prove that PS was the bad guy? Anyway, here he started to look like Chor Lau Heung (dang, I miss Chor tai-gor...). 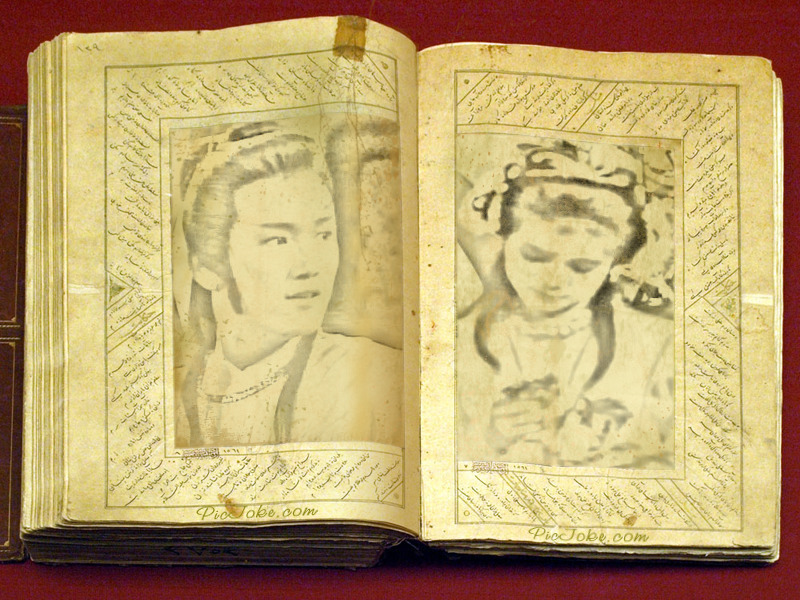 Ep 12: Yuen-Ngan Lei and his father (the King of Jurchen) talked about capturing DC. DC et al sneaked into Tuloi's camp without preparation (okay, he's Chor tai-gor then! ), thus injured one of his friends (Hong Wong, the guy who almost died of snake bite). This guy then asked DC to cut his arm and he then sneaked back into Yuen-Ngan's camp. Then DC et al picked a stick to trap YNL. Lau Heng (another guy in black) pulled the longest, he then hid underground. YNL arrived to fight YNL, the latter fell into a trap underground, but he still managed to kill A Heng. 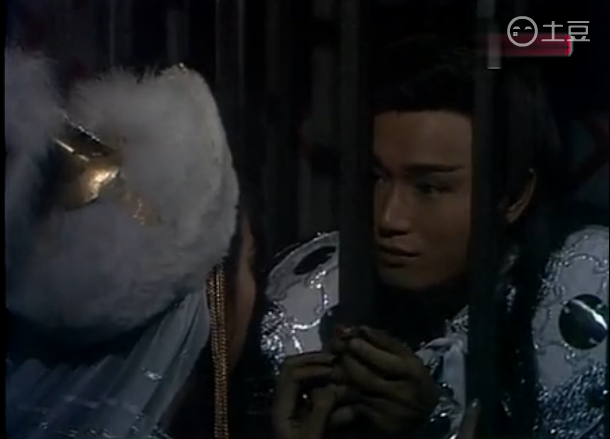 DC et al then took the caged YNL to see the Jurchen King. DC delivered three conditions that the King refused. Later, DC et al saw Hong Wong died hanged on a tree. They buried him and swore vengeance. 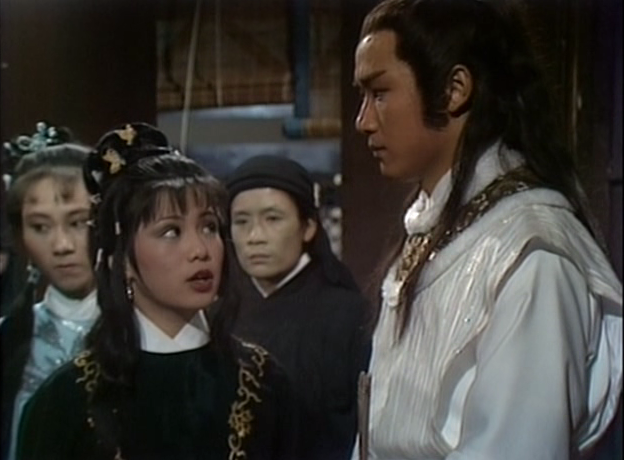 DC and his very small army finally clashed with the Jurchens, but he still managed to kill another Yuen-Ngan (might be Yuen-ngan Li's brother). DC successfully made the Jurchen King signed a treaty despite Yuen-Ngan Li's request not to. He even got the Jurchen King gave him the protective Pearl Flag. DC later left the Jurchen camp after releasing YNL (though the Jurchens could still capture them, so I have no idea how DC could waltz out of the camp). Seeing DC's success, Pon Sau and Pon Hung (his dad) pulled another trick. They produced voodoo dolls from the restaurant that DC's friend managed and said that it was the idea of DC's family. Palm/face. As the result, Mrs Dik was to be executed soon. Yang Chiyan and her teacher informed DC about this. DC rode to the capital with Chiyan, bringing the treaty with the Jurchen to cancel the execution. Ep 13: DC arrived in the nick of time to rescue Mrs Dik from execution using the Pearl Flag he seized from the Jurchens. He also presented the Jurchen treaty to the useless Emperor, which flippantly released Mrs Dik, as if she was just allowed to have an early leave from a dinner party. The Dik family was reinstated. However, Pon Hung still pulled some tricks by polluting some rice sacks with urine (or even with a more disgusting liquid...), put some explosives inside the Dik’s weaponry workshop and also a did several things with the gold and treasures which I don’t really get. Pon Sau and DC's army returned to the capital in glory. However, Chiyan's teacher looked concerned when he saw the people throwing rocks at some defeated Jurchens. Mrs Yang who loved him consoled him. The Emperor distributed rewards to DC and his mates. DC was promoted as a general. Later, DC rescued a young boy who was injured by Pon Sau for attacking him. Pon Sau seemed to have done something very wrong to the boy's family such that PS later received a capital punishment. 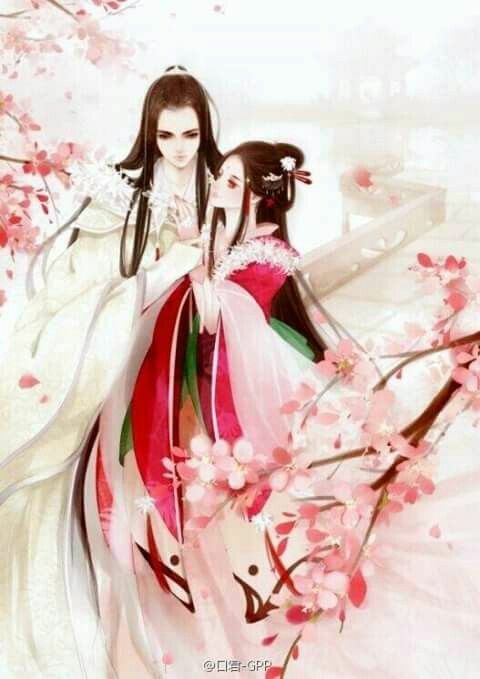 However, just before the execution, the Emperor came and cancelled it out at the behest of his concubine (Pon Sau's sister). Pon Sau instead just had to do some social service hours (not sure if he was stripped of his rank, I think not). Not letting this setback upsetting him, DC still had a nice private dinner in his house. 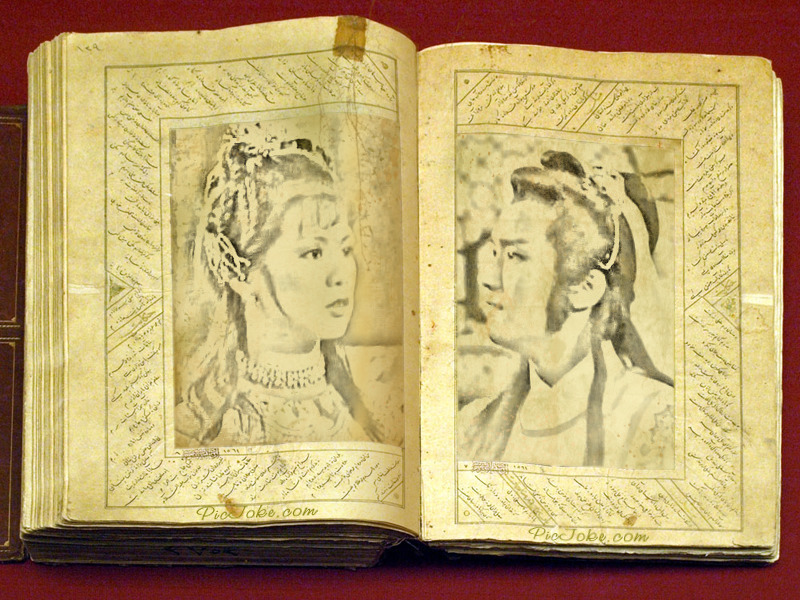 Seung Seung arrived from Mongolia (her brother finally allowed her to seek DC and marry him despite him refusing to be the Prince Consort). 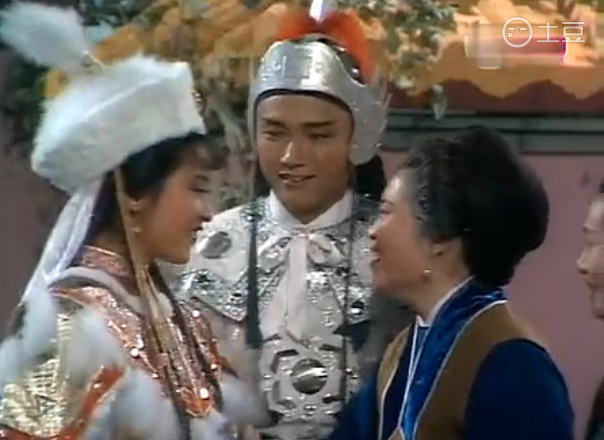 Mrs Dik was grumpy to see the Mongolian princess, cos the former really wanted DC to marry Chiyan. DC still asked for Mum's permission to marry SS, which Mrs Dik blatantly refused. SS tried to please Mrs Dik, but she got it all wrong. She offered her a dead bird (freshly shot by the Mongol girl) as lunch, to Mrs Dik's distress. Also, during a prayer at Mr Dik's tomb, SS appeared in a Song dress (a bit too long and too frumpy for her), and prayed for Mr Dik. That should be fine, but then she almost drank the wine that was supposed to be poured to the ground, and she stepped on the offerings. Total chaos! 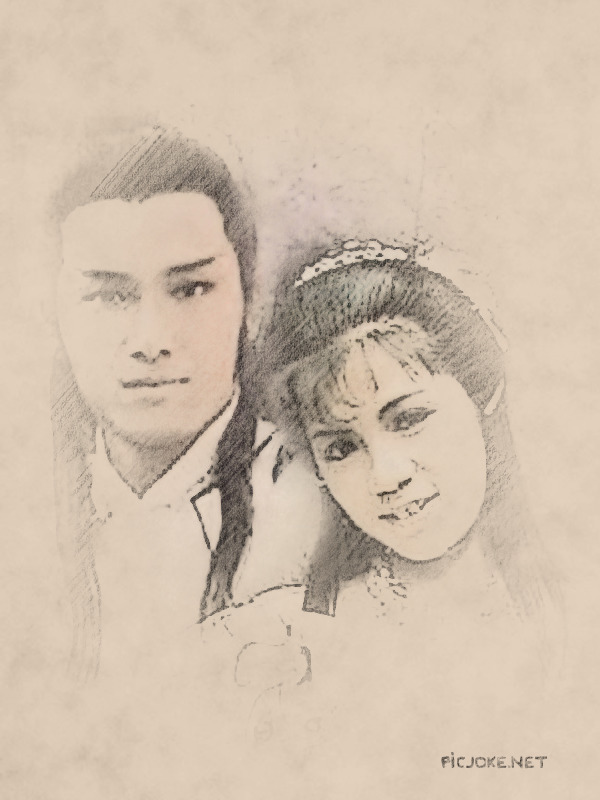 Ep 14: SS overheard Mrs Dik talking to Mr Yeung about the wedding between DC and Chiyan. SS protested and produced the hairpin that DC gave her, saying that DC had promised his love for her. When Mum challenged her, SS said she'd ask DC about it herself. Unable to cope with Mum and girlfriend, DC sneaked out of the house, leaving poor A Fuk stuttered in front of the ladies. 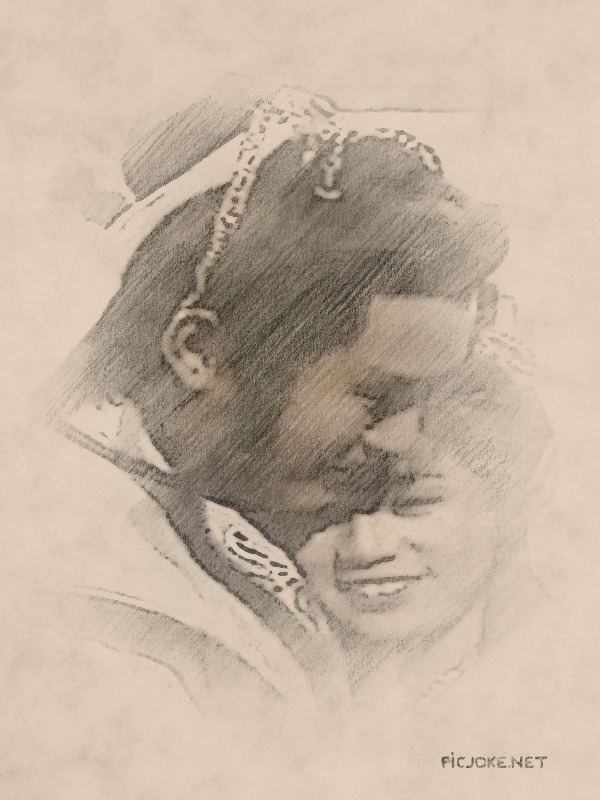 Chiyan later talked to Mrs Dik, saying that, despite her love, she didn't want to be between DC and SS again. Mrs Dik was very disappointed, but SS, upon overhearing it, was very happy. She even kneeled down to Chiyan in gratitude. Although she was annoyed, Mum still melted under DC's constant nagging to have him married to SS. I think DC then asked SS to write something (her name?) for the astrologer to determine their wedding date. However, the astrologer said something to Mrs Dik, which made her confused or doubtful. Then they had to go to the salt and rice shop to deal with the smelly rice. Then there another problem about people waving some papers (statement of debts?) at DC's housekeeper. Then a blast happened in a weaponry workshop belonging to the Dik family. It seems that Mrs Dik said all these misfortune happened because DC was going to marry SS (but they were actually Pon Sau's doing). DC defended SS, but Mum didn't listen and just dashed out of the room. For some reasons, SS also flared and stepped on DC's foot!! Nursing his poor foot (is that the same on that A Fuk stepped on? Seems so...), DC went to see Chiyan to see how she was. I think CY then told her how much she loved him, but nothing she could do cos he loved SS. DC looked a bit wrong footed, a bit like CLH when Wah Jan Jan confessed her love to him. To make up for her sacrifice, DC had dinner with Chiyan inside her room. SS saw them eating together, hence she became deflated and ate alone in Wen Wong's restaurant. Bro Chung and her sister saw the sad SS, thus they decided to help. Chung's sister invited Mrs Dik to dine at the restaurant, only to witness SS almost throwing up. Mrs Dik was surprised to learn SS was pregnant. She summoned DC and admonished him for impregnating the princess out of wedlock. Flabbergasted, DC went to the restaurant to see SS and Chung. DC stormed Chung, thinking his best friend was courting his girlfriend. I think SS then admitted the pregnancy was just a ruse. She ran outside, DC ran to find her, but couldn't find her. SS cried outside the city, reminiscing her past moments with DC. Meanwhile, the Jurchen princess Yuen-Ngan Fun whose brother was killed by DC arrived at the capital to kill DC. She talked to Pon Hung about her plan. The Princess also followed DC's teacher (Lu Si?) 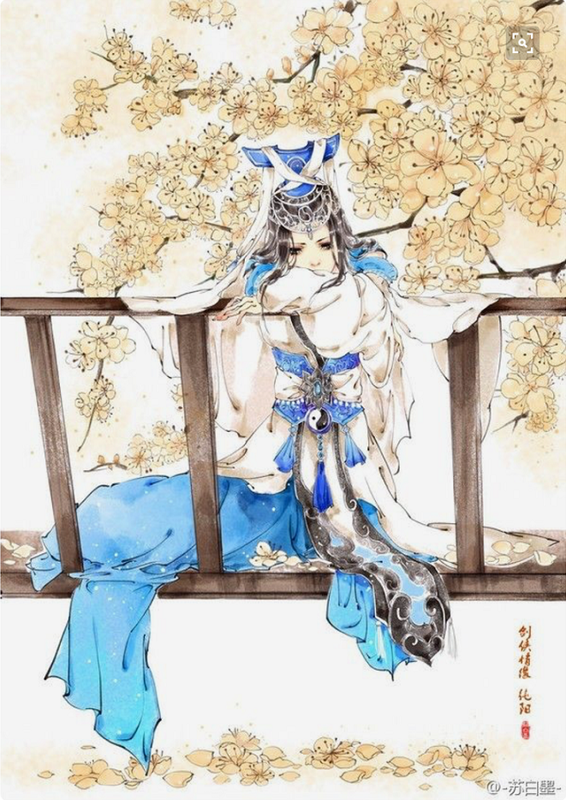 and attacked him until he realised she was the Jurchen princess. Yuen-Ngan Fuj told the teacher that her brother died killed by DC. 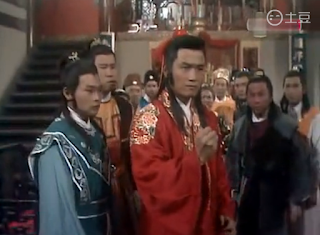 Lu Si was shocked, for this Yuen-Ngan (Wanyan) character was his friend when he was with the Jins. Having dreamt the murder of this friend by DC later, he told Chiyan's mum (Mrs Yeung) that he's leaving. Mrs Yeung was surprised, cos she loved Lu Si as he loved her. Ep 15: SS tricked DC to leave the house. She then returned the hairpin DC gave her to Mrs Dik and left the house. I think Mrs Dik offered her to be her god daughter, but SS refused. DC fumed when he learned what happened. He ran to chase SS and reasoned with her. I think she asked him to leave with her, but he couldn't, so she just left. Dang, he still looked gorgeous when sad! and then he was about to drink wine when Chiyan stopped him. She took him to the beach, but he was only talking and thinking about SS. Heart-broken, CY left DC alone on the beach. 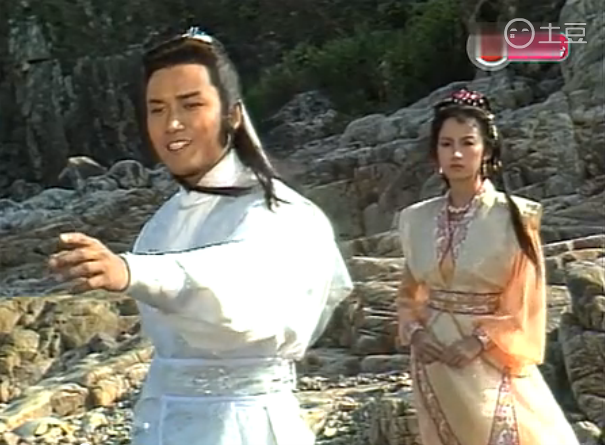 Later, Lu Sifu found DC on the beach and challenged him for killing the Jurchen prince. Mrs Yeung prevented that, then she narrated the background story of Mr Lu. Lu Si then told Princess Yuen-Ngan Fun that he wasn't going to kill DC. She then took the matter to Pon Hung and Pon Sau, asking them to assist her in killing DC. Afterwards, I don't really get it. DC was ordered to do something by the Emperor. It seems the Pons reported the presence of Lu Si in the Yeung household, hence LS had to leave. DC went to the Yeungs to say goodbye to his teacher. There, he saw Mrs Yeung preparing to leave with Lu Si. DC was a bit wrong-footed, but he still bade his teacher goodbye. Mr Yeung was about to stop his wife, when he realised that he rarely treated his wife as he should, hence he let her go. At the same time, Pon Sau let an army to attack the Yeung residence for housing Mr Lu. Ep 16: Chiyan died protecting DC and Mr Lu. 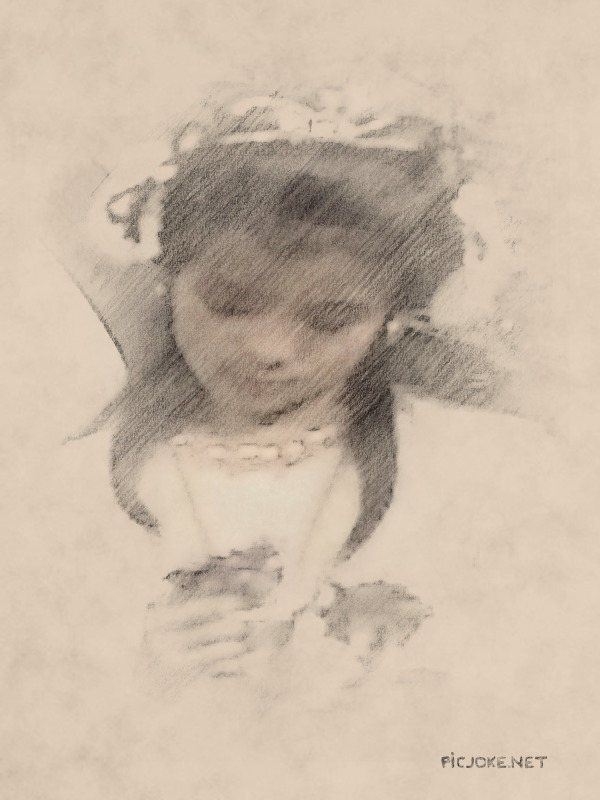 Mrs Yeung fainted to see Mr Lu injured and then died in revenge of Chiyan. 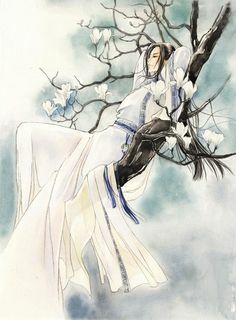 The Emperor was so surprised to learn that Chiyan died, thus he didn't let the investigation of a Jurchen inside the Yeung residence resumed. DC was broken-hearted, for Chiyan was a dear friend of his and he also loved his teacher despite him once wanted to kill him. When his family paid respect to Chiyan, DC was nowhere to be seen. 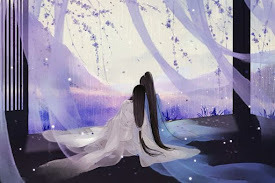 Only when A Fuk commented he heard Chiyan's melody being played inside her room (he assumed by her ghost spirit), the lot checked. 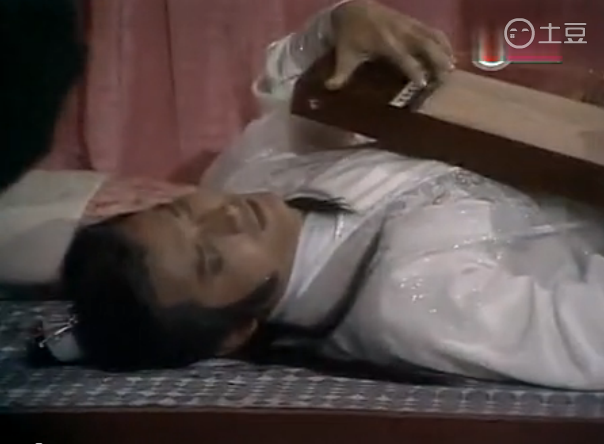 They then found DC laying on Chiyan's bed, holding and playing her zither in tears. Oh dear Michael... did you actually cry for Barbara here? 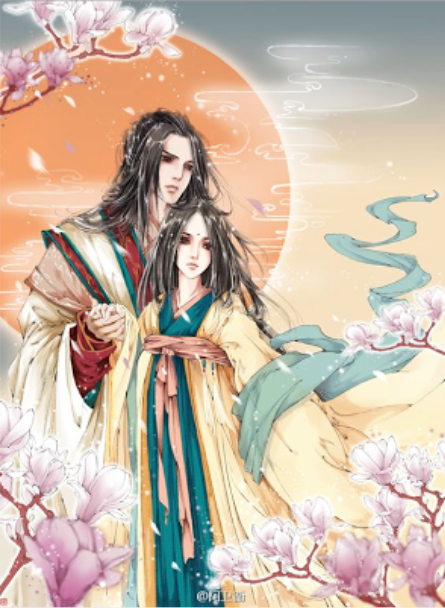 The Emperor, thinking that DC was devastated because his future wife Chiyan was dead, agreed in marrying DC with the daughter of Hun Kuan from the royal court. DC was too drunk to even register what happened, so he was so surprised when he realised he was to be married to a total stranger. He begged Mum to help him out of the trouble, but Mum couldn't do anything because the drunk DC didn't object it when the Emperor made the deal. So DC was married to this girl. 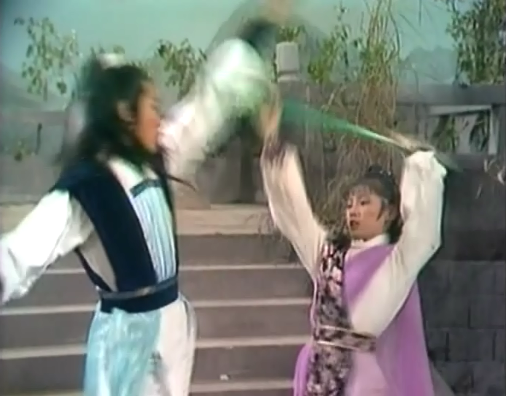 But the girl turned out to be Yuen-Ngan Fun, who just wanted to kill DC. Fun swapped with Han Kun's real daughter before the wedding. Despite his drunk state, DC noticed that his "wife" didn't wear shoes (the Jurchen princess took off her shoes cos she was fed up wearing the Han heels). Thus, when she attacked, he was ready to parry her attack. 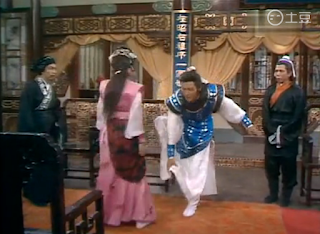 During their fight, Mrs Dik and the Princess's "father" entered the room. DC accidentally stabbed the girl, killing her. He was then charged with murder and had to face the death sentence. The four friends of DC tried to relieve his sentence by doing something to Yuen-Ngan Fun's body. Not sure what. But they also pretended to be Mr Yeung's palanquin carriers to talk with the officer about DC. Meanwhile, Pon Sau was having an affair with Bro Chung's wife (who used to be a servant in his household). The wife told him about the Four Dude's plan to do some things with Fun's body. When the emperor visited, Fun's head had been severed, thus unidentifiable. 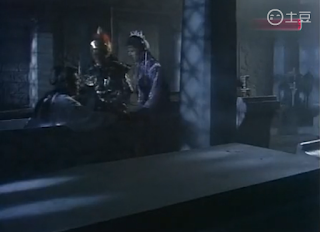 Ep 17: apparently, Pon Sau kept the daughter of Hun Kuan alive (cos she swapped with Yuen-Ngan Fun). She was almost raped by Pon Sau had Chung tai-Gor and Mr Yeung (Chiyan's father) not rescued her. Because of this, Miss Hun and her father were imprisoned for fraud. In the prison, they were killed by a poisonous spider (bet released by the Pons). However, DC who was in the same prison was spared. 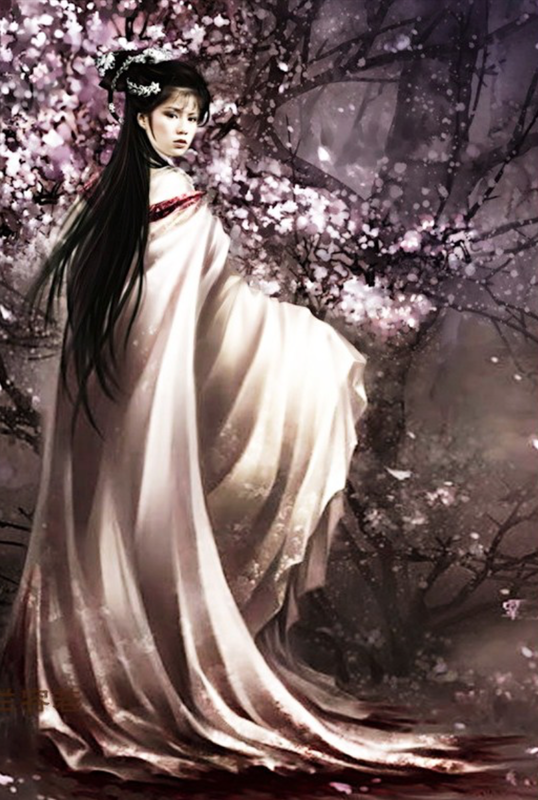 He was later released after a prostitute disguised herself as Pon Sau's sister (Emperor's wife). Later, a prank that DC's cousins imposed on A Fuk made A Fuk learned about the Pons' plan to smuggle weapons to the Jurchens. He informed DC, who was visiting Chiyan's father again (and the boy was in tears again...). These tears, Michael... was that actually for Barbara...? When DC et al inspected the boat with the Emperor present, they only found tea leaves for Pon Sau's sister had warned her family about it. DC had to apologise openly to Pon Hung (he did, gallantly). The weapons themselves had been thrown away to the sea by Pon Sau. 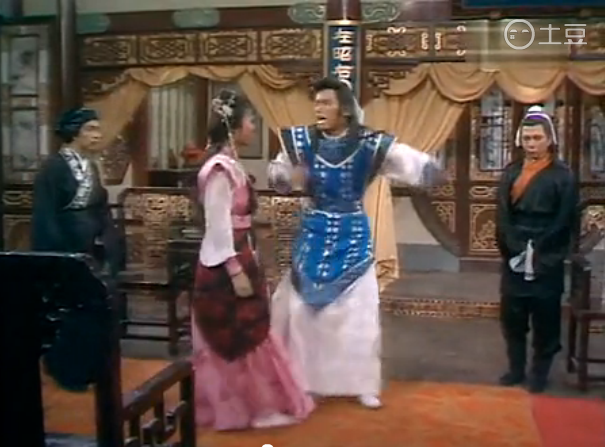 Pon Sau also sent Yuen-Ngan Fun's headless body to the Jins, making Yuen-Ngan Li swear that he'd attack Song. Meanwhile, PS and his girlfriend concocted another plan such that Chung Ting-kai suspected that his wife (correctly) was having an affair with someone. Ep 18: Chung had a fight with his wife such that the wife stayed for the night at the Dik residence. 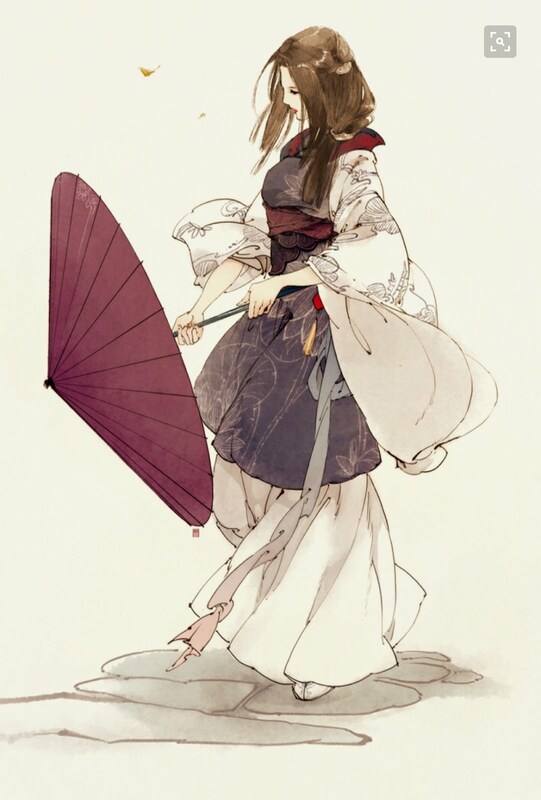 In fact, the girl did that so she had the chance to sew the Jurchen Pearl Flag (which had the protective power) into the inner lining of his battle armour. 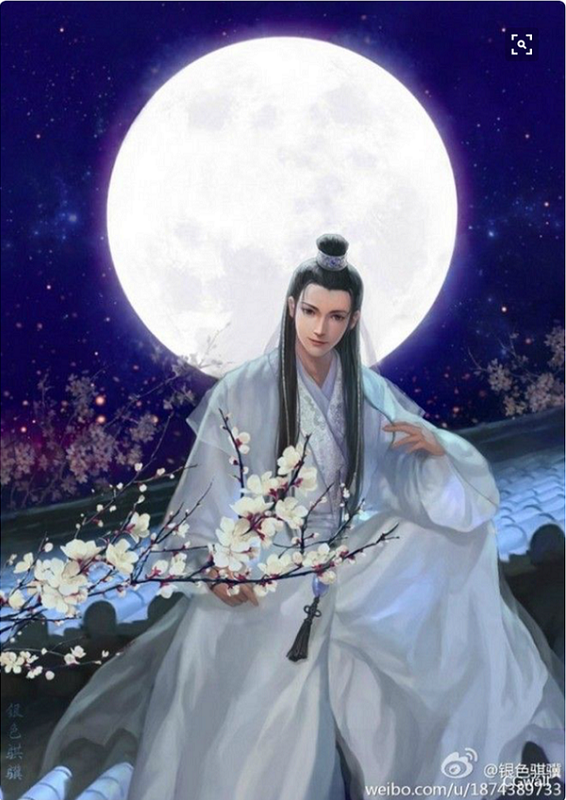 The next morning, the Emperor was having a Taoist ceremony. He was almost caught by fire because the Pearl Flag he held was fake (of course swapped by PS's sister). When DC tried to extinguish the fire, he succeeded because he had the Flag in his linings. The Emperor was livid, thus he gave DC death sentence. Chung et al rushed to rescue DC, but they were for fooled by PS and thus also captured. DC received his death sentence by chopping his dead with a sabre, but before the execution, Mr Yeung arrived. He pleaded the case, saying that DC had been loyal so far, thus perhaps he could die with poisonous wine instead. Emperor agreed, hence DC drank the wine, had nose bleed and died. The Jurchens attacked the Song army. The Emperor asked Chung et al to help getting rid of the Jurchens; Chung originally refused, but he then accepted the order. I think PS actually ordered some people to attack Chung who then said something about DC that flared PS. It seems he eventually agreed to lead the army to honour DC's memories. Pleased, the Emperor then gave him the Dragon Jade Seal. 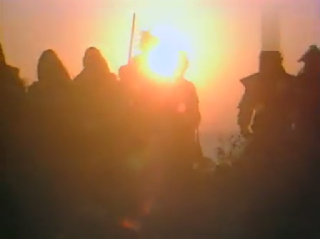 While the Jurchens exchanged communication with PS et al, the Mongols intercepted their emails. I mean, Seung Seung accidentally shot the pigeon carrying a message from PS. SS's brother read the message and informed his sister that DC died. Chung et al was heavily defeated due to PS' betrayal (PS stole the Jade Seal from Chung). Chung fell into the cliff, his three friends were captured. PS brought Yuen-Ngan Li into the court. Yuen-Ngan Li defeated the useless imperial army, and seized the throne. 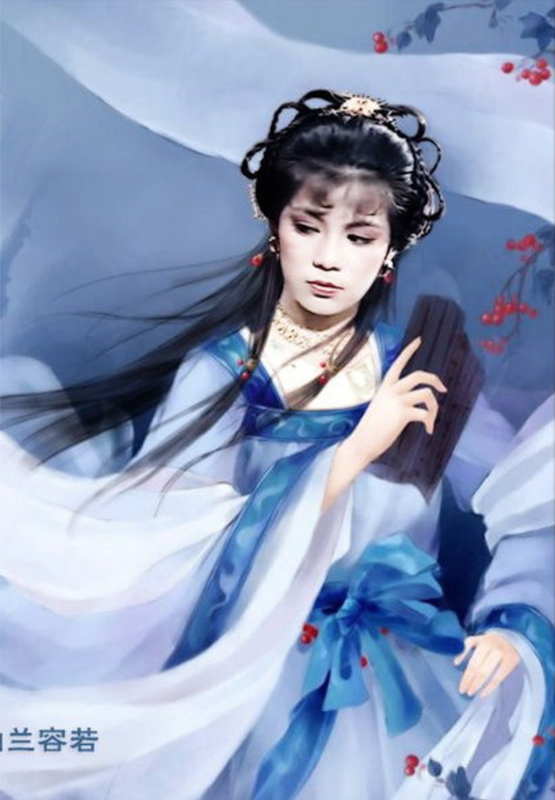 Ep 19: the Emperor wanted the commit suicide, but Yuen-Ngan Li prevented him from that. Mrs Dik was captured and imprisoned together with Mr Yeung and Mrs Dik. 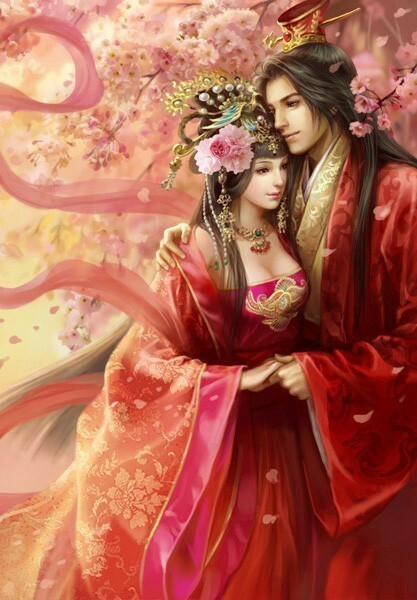 Chung survived and found out that his wife truly had an affair with Pon Sau. Despite being cornered by PS' army, Chung defeated them. PS ran away, Chung beheaded his wife. SS went to visit DC's grave (it was a mausoleum). She was just there for a few minutes when Chung entered with the head of his wife. They were about to talk when a noise came out of DC's coffin. The coffin lid opened to reveal a dazed DC, weak but alive. Mr Yeung had apparently gave DC a medicine that stopped his breathing for a while, thus making people believed he was dead. 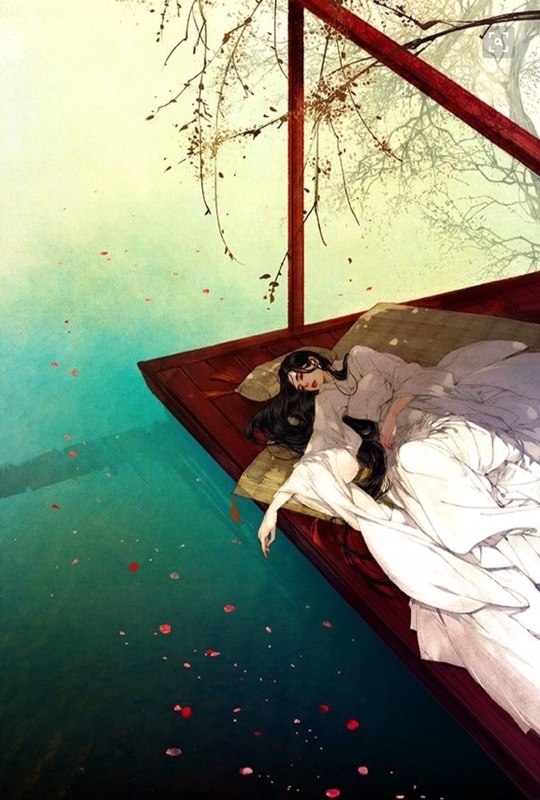 Stuttered, SS asked if she was actually dreaming, to which DC replied that he didn't die, that he was still alive. Before the excited SS and Chung could talk with DC in detail, they heard people coming. Chung left the mausoleum, while SS jumped into the coffin with DC. In a very sweet scene, DC held his girlfriend tight as Pon Sau et al inspected the mausoleum for Chung's presence. After PS left, DC, SS, and Chung discussed the damage control. Later, SS visited the palace decked to the nines with her white court dress (complete with the white hat that DC stole in Ep 2). The bearded DC tagged along as her servant. Inside the palace, they found chaos. 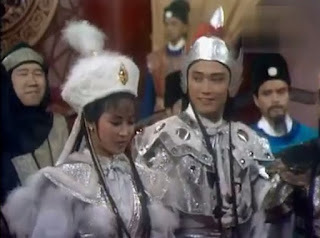 Mrs Dik and Mr Yeung became servants, DC's cousins became the new prince's assistant and even the Emperor had to serve a very uncomfortable SS. DC couldn't tell his mum that he was alive, but Mr Yeung recognised that DC was alive. After surveillance at the palace, DC and Chung released their three mates with the help of SS (who distracted another Yuen-Ngan (Yuen-Ngan Li's brother) by pretending to almost fall off the cliff). DC et al later seek the support of SS' brother. 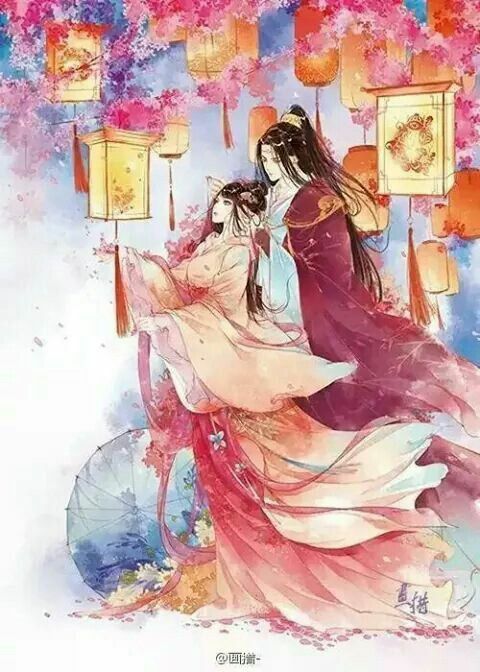 Although he initially refused to take part in the Song-Jurchen war, Bro finally decided to help Song after the Yuen-Ngan dude came to boast that he'd help SS and thus had the rights to flirt with her (yuck!). Fed up with the Jurchen prince's shameless advances to his sister, Bro finally killed the Jurchen. He and his Mongolian army also joined DC in fighting the Jurchens. 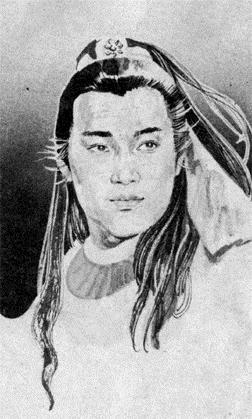 Ep 20: DC et al tricked the Jurchen king to think that his son Yuen-Ngan Li was dead, hence he signed a peace treaty with Song and Mongol. When Yuen-Ngan Li found out about it, he was livid, but his dad didn't want to have anymore war. DC et al later attacked the capital. 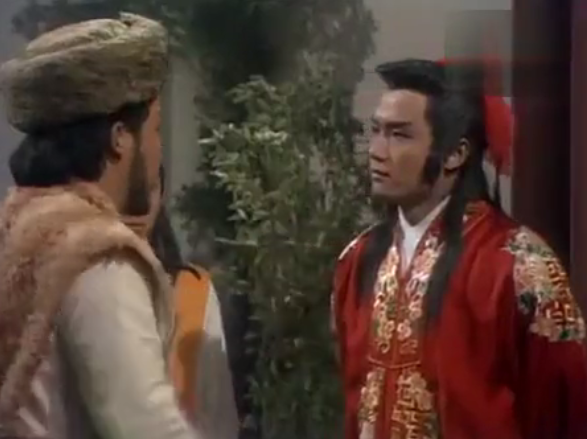 When Mr Yeung learned that DC couldn't the gate, he asked the captain of the gate (the actor seemed to be the Fourth Wudang Brother in HSDS 86) to choose between sides. To prove that he was loyal to the Emperor, Mr Yeung committed suicide (so sad!). The captain finally opened the gate. DC entered the city to find Mr Yeung died. I think his death deeply saddened and angered DC for he always treated Mr Yeung like his own dad. Amidst the chaos, the Emperor, who was now told to dress like a woman, temporarily lost his mind. However, he regained his senses again. They chased the Pons, which hid inside the mausoleum. Pon Sau went mad and eventually killed his sister and dad before somehow fatally injured himself. Afterwards, the Emperor granted DC's request to marry SS. They were happy, for Mrs Dik also supported the union this time. However, before the wedding, Yuen-Ngan Li kidnapped SS. DC needed the help of the four fighters before he defeated and killed Li and took his bride back home. 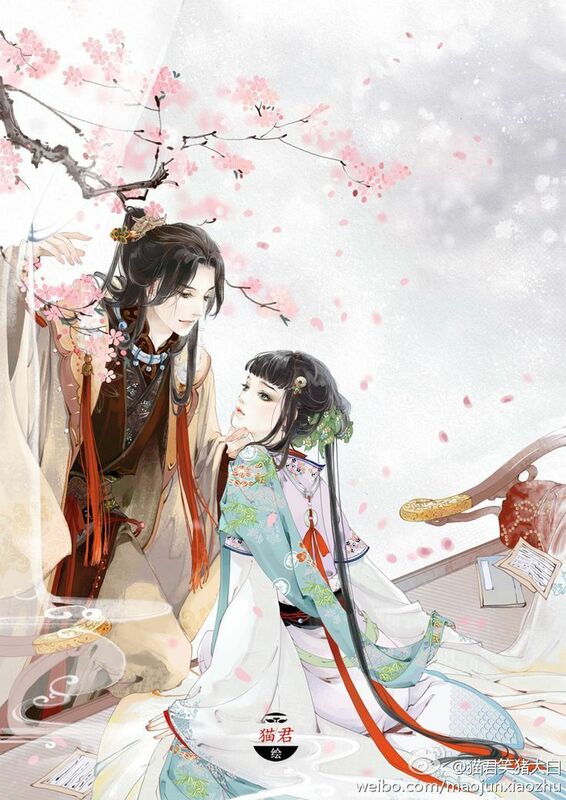 I like the Legend of Dik Ching. It’s not the best Michael Miu series, but I think it’s because of the rather weak story telling and low budget for some important scenes. The premise is good, basing it on the real Di Qing, a Northern Song hero. But the budget for this production is really low; they didn’t have enough extras for the war scenes, thus it was not convincing. I still feel that Kenneth Tsang wasn’t used to his fullest potential here. I mean, he doesn’t have to be a hero; he can still be the useless emperor, but there’s still something missing. He did explore some ranges of emotions during the Emperor’s imprisonments, which was good. 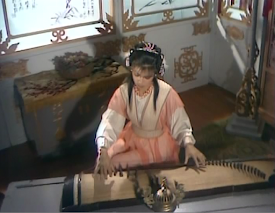 Yeung Chak-lam was definitely a good addition to this series as Chiyan’s and Dik Ching’s teacher. I feel sorry for him and Mrs Yeung. 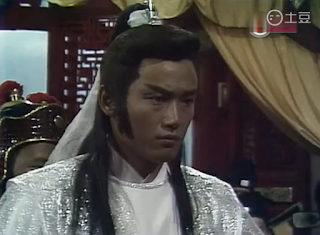 Speaking of which, the actor who played as Mr Yeung looked a bit like Mr Bau Fong who played as Zhang Sanfeng in HSDS 86, particularly when his eyes lit in Ep 19 upon seeing DC returning alive (Wina also thinks so). Andy Dai’s Yuen-ngan Li was... not a convincing enemy for Dik Ching. Michael Tao’s Pon Sau was still okay as a nemesis. 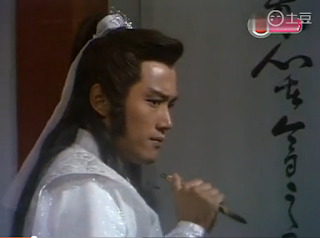 But I really think that the best nemesis for Michael’s character was Simon Yam’s Bat Prince in Chor Lau Heung 1984 and Felix Wong’s Kwok Ching in LOCH 1983. Particularly Simon Yam’s Bat Prince, for he was of the same built, height, gorgeousness and skill level with Chor Lau Heung. I love the chemistry between DC and Mrs Dik, it’s refreshing to see him as a rather-spoilt but actually filial son; again similar to the way Szeto Man Mo and Mum interacted in Fearless Duo. I also love DC’s band of brothers, they were such a fun lot. Particularly the bearded guy who became one of the sect warriors in CLH 84 (I think his brother or so died killed by the Bat Prince in CLH). DC’s interactions with A Fuk were almost always gold. I suppose, if the director killed A Fuk in this series (thank God that didn’t happen), DC would be devastated as well. Kitty Lai was a refreshing Mongolian princess. Seung Seung had no cunningness of Zhao Min (HSDS 86), but she was still smart and reliable, and can be a cuteness overload too! Oh yeah, DC wore nice white robes in some episodes, like in Ep 13 and Ep 15 after Seung Seung left. 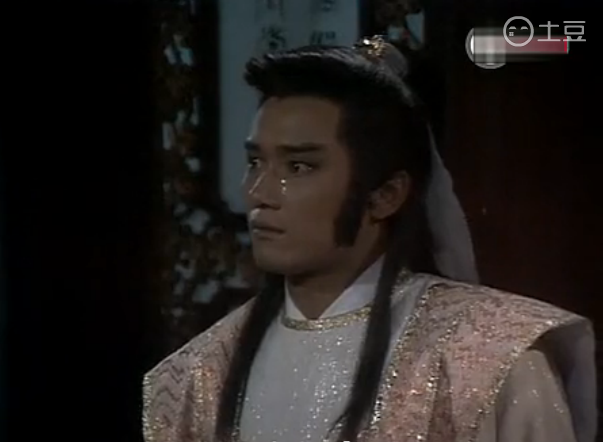 It gave a Chor Lau Heung vibe, for DC was pensive after his girlfriend left him. I think Michael looked, still look, nice in white. I like the instruments in this series; some tracks even have the Jane Austen-esque feelings. I did mention the piano score in Ep 8 last week; I think the same score appeared again somewhere in this half bit. 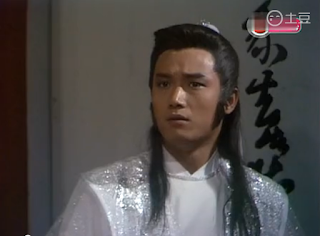 In summary: the Legend of Dik Ching is something you want to watch if you miss Michael Miu in his knight-errand role. Dik Ching’s vibrant character is a reminiscence of Szeto Man Mo (Fearless Duo), which is nice too. Don’t watch this series if you’re nitpicky with war scenes, for the war scenes were very basic here. 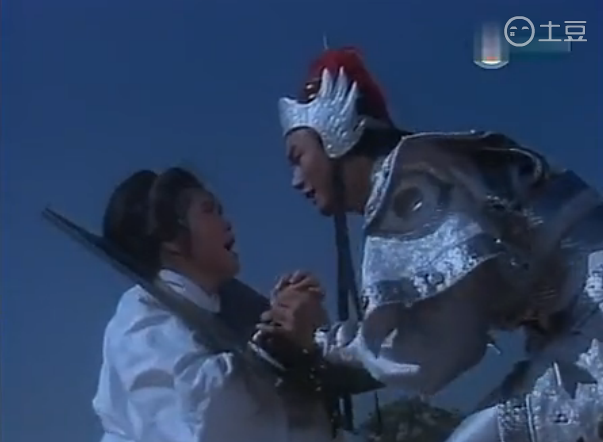 But the small scale fighting scenes and the one-to-one fights were great, as always with the 1980s TVB series. 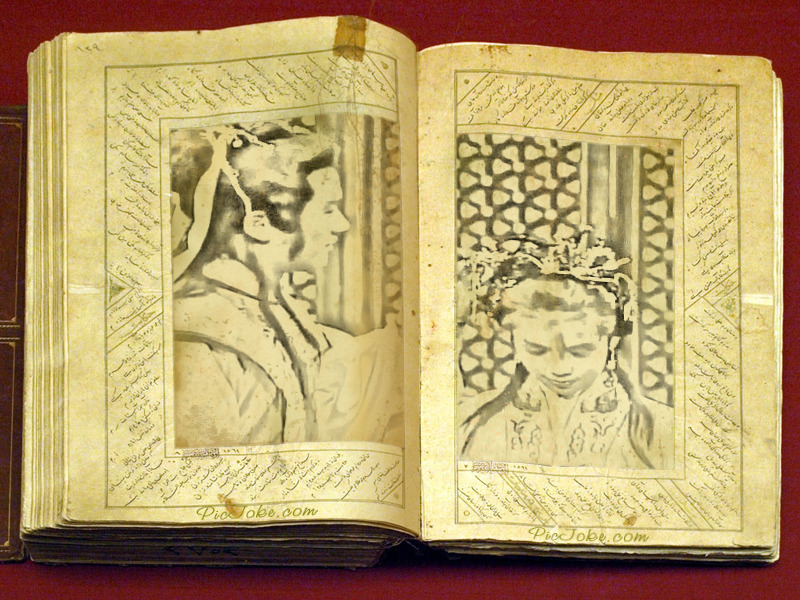 Aku suka Legend of Dik Ching karena menghibur, ada unsur sejarah, komedi, romance, dll....I love it. Aku juga ngira Mr Bau Fong yg memerankan Mr Yeung....di agak akhir episode Kakak Seung Seung karena sangat perhatian ma adik, sampe khusus ngajukan permintaan ke Raja agar Dik Ching menikahi adiknya yang membuat Seung Seung malu dan langsung juga ditimpali DC dg melamar SS. Oh, kalo kita bener, bagus juga ya Mr Bau Fong jadi Mr Yeung... tapi doi agak lebih kurus di HSDS 86 ya? Ato bajunya aja yang bikin beliau rada berisi di Dik Ching? He was a nice character. Sedih pas doi meninggal...(have to write that down). Oh, enggak maksud aku di ep. 19 (ini pengamatanku setelah nonton) setelah membunuh Juerchen kakak SS minta supaya DC menikah dg SS, wajahnya SS malu-malu dengarnya, tapi DC nya nolak atau apalah, sepertinya siasat supaya kakak SS membantu DC dkk untuk melawan Juerchen dan Pon Hung, dan setelah tahu kalo Brother Chung yg nyamar Juerchen yang pecicilan, kakak SS juga gak berkutik karena SS juga ikut bantu DC dalam usaha itu. Aku jadi ngerti lah mengapa di ep. 20 Kakaknya SS minta Kaisar supaya DC menikahi adiknya, mungkin menurut dia DC gak masih gak jelas, dan langsung ditimpali ama DC dengan langsung melamar SS. Yeung Chak Lam, aktris yg memerankan mama DC, Bau Fong, Ha Yu juga Shallin Tse bagus mainnya, kalo peran Kenneth Tsang kurang menantang ya? mungkin writernya kurang mendalam menulis perannya sebagai useless Emperor, kadang-kadang sih dalam satu movie or seri memang ada peran2 yang kurang bagus/mendalam yg ditulis ama writernya, menurutku Kenneth masih okelah sebagai Kaisar yang agak pecicilan dan kurang cakap. Eh, di ep. 19 aku kebalik-balik critanya, ngeliat Jurchen yg genit & gak sopan ke SS, sepertinya Kakak SS minta DC menikah dg adiknya, SS wajahnya terliat malu, DC menolak & ngomong apa gitu....setelahnya kakak SS bunuh Juerchen asli yg baru datang...akhirnya kakak SS tahu kalo sebelumnya brother Chung yang nyamar jadi Juerchen, tapi kakak SS gak bisa marah karena SS ikut berkomplot dg DC. Icha, aku tahu kata Cantonese yang artinya omong kosong, sepertinya di ep. 14 sebelum mama DC keluar & SS nginjak kaki DC, DC bilang yg dikatakan mama DC omong kosong, yang membuat mama DC marah besar dan keluar lalu SS bilang apa gitu & nginjak kaki DC (ini menurut aku lho), selain DC & Ah Fuk, intersksi DC & mamanya jg lucu. Hi, are you Mandy? I'll work on the Foundation 84 translations this month. What's your FB name?